Catherine Melquist (President, MSUA): It was great seeing you at MSUA’s awards luncheon during SATELLITE18 and I appreciate you taking time for a Mobility News interview. Let’s start by first talking about you. As a senior leader at ORBCOMM, what part of the business do you focus on and what industry changes are having the greatest impact on what you do? John: I lead ORBCOMM’s Technology & Operations group, including the development, launch and operation of ORBCOMM’s second generation satellite constellation as well as ground infrastructure development and support, customer access portals and corporate-wide information systems. 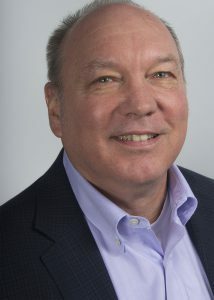 I think that the proliferation of IoT technology and solutions across a diversity of new vertical markets, geographies and applications along with a greater focus on services offers many opportunities for ORBCOMM to continue to take the lead in developing disruptive industrial IoT technology – from devices to applications to analytics. In addition, customers are looking for seamless access to network connectivity. They simply want to use the best network or combination of networks to meet their requirements for geographic coverage, regulatory authorizations, the fastest service, and the largest message payloads. ORBCOMM offers the most comprehensive offering of network services, including three satellite networks and seven terrestrial networks for global message delivery to meet all of our customers’ needs. Catherine: Thinking now from the company’s perspective, how does ORBCOMM view the changing marketplace and what does it mean to your business overall? John: ORBCOMM began as a pioneer in M2M communication technology over 25 years ago. Long before the Internet of Things became a common term, we were connecting enterprise assets. Today, we offer the broadest array of industrial IoT solutions from individual components to full end-to-end solutions and have more than two million subscribers on our networks. We believe this not only reflects the overall global growth in IoT adoption but also ORBCOMM’s expanded market penetration and widening geographic reach in this space. As a technology leader and innovator, we continue to be inspired by the changing marketplace and the global adoption of IoT and are committed to developing best-in-class solutions that transform how our customers operate their business and stay connected to their assets. Catherine: Thinking about IoT, what customer markets do you target and what are their typical use cases? John: ORBCOMM is focused on providing solutions that connect businesses to their assets to deliver increased visibility and operational efficiency. We have a diverse customer base including premier OEMs, solutions customers and channel partners spanning transportation, supply chain, warehousing and inventory, heavy equipment, maritime, natural resources and government. Typical use cases range from freight transportation monitoring, cold chain compliance and refrigerated asset monitoring to fleet management, driver safety, and cargo security systems. We shipped an astounding 336,000 devices in 2017 and have completed some of our largest deployments to date for world-class industry leaders such as JB Hunt, Oshkosh/JLG and AT&T in support of the United States Postal Service. Catherine: Do you see these use cases evolving and data usage increasing? If yes, how so? John: Once our customers see the level of data and insights they can access through our IoT solutions, they are always looking for more data. Many of our customers will start off with a need for simple tracking and location capabilities for their assets but will quickly take advantage of a wide range of value-added services and analytics that enable monitoring of fuel consumption, temperature, driver safety, and much more. Catherine: Do you see a convergence between telecom and satellite? How about for ORBCOMM solutions?